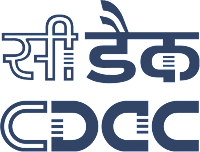 The Centre for Development of Advanced Computing (C-DAC) is a research and development organization under the Department of Electronics and Information Technology, Govt of India. CDAC offers various courses in various streams that helps students to strengthen their core concepts and then offers various placements programs that almost ensures 100% jobs to students. In recent past this organisation has groomed alot. Now the most difficult quiestion for students before joining CDAC is that which of its centres is best considering the quality of knowledge and also placements. There are many centres that offers various courses in various streams. Some of them are affilated centres and some are head quaters owned by CDAC. We are going to filter out some of the best CDAC centres that offers quality education plus placements. This filtering on basis of previous track records that are available with us. From above list it will be better if you get desired rank and able to get one of the top 4 centres mentioned above. Those of the above marked in green provides you top class faculties and 100 percent placement assistance provided you students are also hard working. Rest all centers also provide placements but not as good as the one’s marked in green. For courses other than DAC, Placements are not that good, But if you join any of the centers mentioned above for courses other than PG-DAC, Then one thing is sure that one will get enough knowledge that if he or she is not lucky enough to get placed from CDAC, then it is a surety that he or she will get placed from out side. Amount of knowledge and they are imparting and amount of time that a student is forced to invest there is of great value. For any queries kindly comment and ask any question. We have a team of CDAC alumni that will try and resolve your queries. Having less than 60% marks, Join CDAC or not ? Guys Sunbeam is the best institute… Go for it..
For joining DAC course in sunbeam .. what rank do i need ?? For joining Sunbeam you anything below 900 rank…. One can get it in second counselling if rank is around 1100 .. Yes, Percentage is considered at the time of placements. There are some MNC's that comes with a criteria of above 60 percent through out. But if you get good marks in your CPT exams then these things don't really matters, There are companies that consider only the CPT marks and of-course your skills. So if you ask me, Yes percentage does matters but only upto a certain level, You having less than 60% marks, fine, you are still eligible for 80 percent of the companies visiting CDAC. However placements for DITISS are not that good as compared to DAC. It will be better if you choose PG DAC and give your 100 percent there. till what rank ,one can get admission in PGDESD Hyderabad…….. Hi..I have got 387 rank in A+ B section and 111 rank in A+B+C section..now I am confused that for which course I would have to go..either DAC or Embedded?..and which centre is good for teaching and placemnt…my agregate is 60.87%..plze give me your suggestions n help me..
For DESD which centre is best ACTS PUNE or KNOWLEDGE PARK BANGLORE?? I have 111 rank for A+B+C. Can anyone suggest order of preference for 2300 Rank(A+B). Sunbeam pune is on the cards .. if not in first counselling then in second counselling … Choose wisely… Preference matters .. This looks decent choice … !!! So can u plz.. order …the below centers for me..
Should i go for Iet pune and infoway pune? Should i prefer vita over iacsd ? Why did u write vita option twice ..in ur list? Sunbeam karad is sub branch of main sunbeam center only, but its not that good for placements .. Regarding your choices, You should go with IACSD pune … as it is having very good faculty as compared to VITA mumbai. At the end of the day its knowledge that matters. Also for placements in common campus placements all the 1500(Approx. from various centers) students of pune will get equal opportunities, if you leave 2-3 companies that prefer sunbeam or ACTS. So with IACSD you will get knowledge as well as equal opportunities. My rank is 1196 for Aug -2016 batch…. which centre i could get?? I want to do PG-DAC course, which is the best centre for it, teaching and placement wise, Pune ACTS headquarters or Pune Sunbeam. i got 496 rank in section ab which centre is best for placement prospectus, sunbeam pune or banglore, please rply urgent. MY C-DAC RANK IS 1832 AND I WANT TO DO DAC COURSE… WHICH CENTERS SHOULD I FILL WITH PRIORITIES AND TELL ME ABOUT THE IACSD PUNE CENTER IN TERMS OF FACULTIES AND PLACEMENTS ….IS THERE ANYONE FROM IACSD PUNE? which is best Infoway Pune or Know IT for DAC? but they allocated me CDAC BANGALURU E-CITY FROM 1ST COUNSELLING… I WANT IACSD PUNE…WHAT SHOULD I DO..? And i got Infoway Pune for pg-dac. Shall I need to go for this centre? Is it possible that i'll get iascd in second counselling? Infoway is not a good center if we consider quality of education…. Might be possible that u'll get iascd… Only one advantage with Infoway is that.. You will get all the opportunities in common campus placement program like students of other Institute like acts main and Sunbeam…. So do choose it wisely..
After the first round of seat allotment I have been allotted C DAC Bangalore e-city. But I want SUNBEAM PUNE. Sir can u tell me what are the possibilities after second round of seat allotment. Also I would like to know how much is my 12th percentage going to affect my chances during placement drive since I have 59% in 12th. And one more thing I would like to know is if one doesn't have 60% throughout career(like in my case I don't have 60+ in 12th) then during the placement process at CDAC will they be only appearing for companies with low package? Thank you sir. And can you please tell me how good is CDAC e-city in terms of faculty, placement etc.? Is it worth doing DAC course from there? At 889, you should get Sunbeam…. Can you mention your preference please? Is it worth doing DAC Course from infoway? How is KNOW-IT Pune in terms of education? Should I pay for 2nd cunselling or it is waste of money & time? I am very confuse. Hey even i have got Infoway,confused too,my rank is 2616.is der any chance if i could get akurdi centre or know it? Do they surely refund fee after 2nd counselling? If we apply for fee refund? I'm from 2014 batch with aggregate less than 60%, can I get placement through CDAC? Is it possible that we can choose for which institute i have to go ? means the institute which i got in 1st round or institute which i got 2nd round? or the institute which i got in 2nd round is the final? Sunbeam karad or kp bangalore which should be preffered? i made a mistake scoring rank in 800 for 1st round as i thought i wont get any of these. I got KP Bangalore .So i drop the allocated seat . No second round seat selection starts on 26 Jul . Is there any chance that i will get among top three in preference list or There are almost no chances to get. Yes, You will get placed, Do well in internal CPCT exams, Get good marks, lots of companies will shortlist you then. As far as I know, The one you got in second round is final. There is a chance that you will get sunbeam, Please revert once you are allocated the seat. Sure I will.Is my preference list alright or should i make changes?My priority is to get good placement .Reply ASAP as today is last day for seat selection. I got rank of 2259 in A+B section. Can i get VITA Mumbai for DAC? Can i stand a chance of getting VITA at rank of 2259? Hey I got rank 2893(A+B)section. I want to take admshn for PG-DAC course. Please suggest me according to my rank? Can I get sunbeam Karad or IACSD? Hi, I got rank 2300 (A+B). Can you please advice on the institutes preference order . My rank is 867 section (A+B). I am going to take admission for PG-DAC course. But, I am confussed between selection of training centres. Plz, help me out. sir my rank is 404 in section(A+B). Can you please provide me the preferece list of centres for DAC course in terms of knowledge and placement. Also acknowledge me about the centres which i can get. Hello, my rank is 969 for section A+B. What should be my preference of centers to get good placement from there? Can I get sunbeam pune? Hi ,My rank in A section is 135 and in A+B section is 653 .will i get cdac pune and if not den which centre should i choose after cdac pune ? Hi ,my a+b rank is 652.can u please suggest me the order of preferences for cdac centre in terms of good placement. Hello sir…I have got 2nd rank in ccat….I am confused between sunbeam Pune and acts Pune….which one should I prefer?? And why?? Sir my rank in A+B is 375. Ryt now I am confused between CDAC ACTS and Sunbeam Pune.. Which should be my first preference please help me out as early as possible…. hi i got rank 401. can i get CDAC ACTS pune ???? and i am confused which centre should i prefer between cdack acts pune and sunbeam pune. Can you suggest me which centre is best in terms of faculty and learning for DAC course and DSSD? Secondly sir please give your reviews about CDAC Noida centre. Sir I got Rank 26 in C CAT Dec 2016 in A+B+C. I am confused what should I opt from DESD or D VLSI (for better placement) and from which institute. hey anyone know about CDAC-JUHU center placements for DAC cource? My rank is 967 in a+b. Can i get sumbeam pune ?? Hi every one I. Got lascd in fst round of counceiling my rank is 912. Is there is chance to get sunbeam pune? I have been not allocated any seat in 1st round. My rank is 2259 in A+B. Is there is chance to get VITA or any of kharghar and IACSD? In my opinion, Go for DESD. For DESD as far as I know, CDAC HYD is better than CDAC BNGLR in terms of study, lab facility and placements. Most of the time you have to spend working in labs only. But I would suggest CDAC ACTS Pune for desd as well. Go through the placements records of desd. The labs were available 24X7 in pune but in hyd/bnglr it was not so. IACSD pune, You should go for at this Rank, You might get in second counselling. No exact data, But 28 out of 50 were placed till last update we got. Yes, There chances that you get it in second counselling if you are lucky enough !! Yes, You might get it in second round of counselling !!! Yes, Wait for second counselling, You will be allocated seats. I have been allocated "Post Graduate Diploma in IT Infrastructure, Systems & Security" at CDAC Pune. Please guide on the prospects of this program and placement. hello sir, i got mumbai juhu center for PG-DAC cource in first round (feb-2017batch). can u please tell about teaching staff and placement over thr? should i wait for second round? Hi,I got iacsd in fst round ..plz tell me placement and teaching staff over there ? Teaching staff is not so good, But I have heard that they are offering decent placements. IACSD is very good center in pune, It is best know for their JAVA and database faculties. IACSD students do get placed, But they have to work very hard as competition is very tough, During the placements drive, On first few days, students from CDAC Pune and Sunbeam gets placed mostly, But it does not mean that IACSD students do not get placed. Success comes to all, for some its early and for some, its a bit late. Go for IACSD if you get in second counseling, Teaching staff in IET is not that good. Is there any chance to get VITA Mumbai center at rank of 2259 in second counselling? Is there any chance to get VITA Mumbai center in second counselling at a rank of 2259 in A+B? I have got 1430 rank in section A and 2101 rank in Section A+B. I have got CDAC Hyderabad for my first counselling, but didn't go for it. Which all centre shall I fill for PG-DAC courses for my second counselling? I got Iascd in second round my rank is 924 ..can I go for that or wait for second counseling?? Thanks,Any information on the previous batches placement in Ditiss Aundh Pune center. First of all I like to thank you for giving us the detailed information about the centers and placements. My name is Sagar.I got a rank 4551 in dec Cdac exam. I really have very bad academics score(10th=89%,12th=58%,BE agrt=51.93% last year=58.83%) in engineering I done CSE from Raisoni clg pune, I got a Nashik for PG-DAC centers after the 1st round but I wait for second and got a Bangalore Knowledge Park for PG-DMC. 1)How is college and DMC teaching staff? 2)Last year placement % of DMC course in Bangalore KP ? 3)what about the placements how many approx calls should I get.does my academics performance will matter and how much? 4)should I go for it and take admission? I think better you try your luck next time…DMC at banglore is not good. How is the VITA for placement and teaching? Can anyone tell me about C-DAC Hyderabad. How are placements and faculty of PG-DAC course? I have got C-DAC Hyderabad in second counselling.Shall I join or not? CDAC juhu, is a decent center, Having good placements,But not so good as far as teaching staff is concerned, That is the feedback that we have till now, If you find some more info do post here, that may help in future. Okay, what about placements? Please reply asap. I only have 2 days to decide about joining the course. When Cdac notification is published for August Batch 2017. I have a query.sir i am completed my b.tech in 2014.but i am not getting any job.i have some core php knowledge and 1 year plus exp.in wordpress developer.but i want to work in Java platform.my 12th 52% and B.tech 59.25%.Is it worth for me to join cdac.and kindly suggest me 5 top placement cdac branch.I prefer as it is…. Sunbeam Karad…Is this sequence is right for me? Please help me for find the best place. As I always say, CDAC is anytime worth joining for any candidate who is eligible. But You really need to work hard once u join CDAC and get good marks there, Companies will prefer you if you have good marks in CDAC. The sequence mentioned by you is correct if you are going to Join DAC course. Work hard so that you can get any one of these top 3 colleges. Which Cdac centres are good for Bigdata and High Performance computing in terms of training?Im looking for Pune and Banglore.Please help.Thank you. First try to learn basics of big data … do some online certification… one yur are done with the basics.. Go for CDAC ACTS PUNE for big data course. For PG DITISS are there any seats in Mumbai???? You can find this on official website of CDAC. If you are still not able to find, do comment. It all depends on your interest, If you are interested in IT and programming, then best courses are DAC(placement perspective) and Big Data(Future scope perspective) . I am 2016 Passout Computer Engineer , I have done Core Java Course , Sharpning my Programming Skill and Paparation of C DAC Cat exam in this 1 year , With not experience. Can i go further for next procedures , beacause some companies wants 60 % Throughout ,Is is true, What i do ? 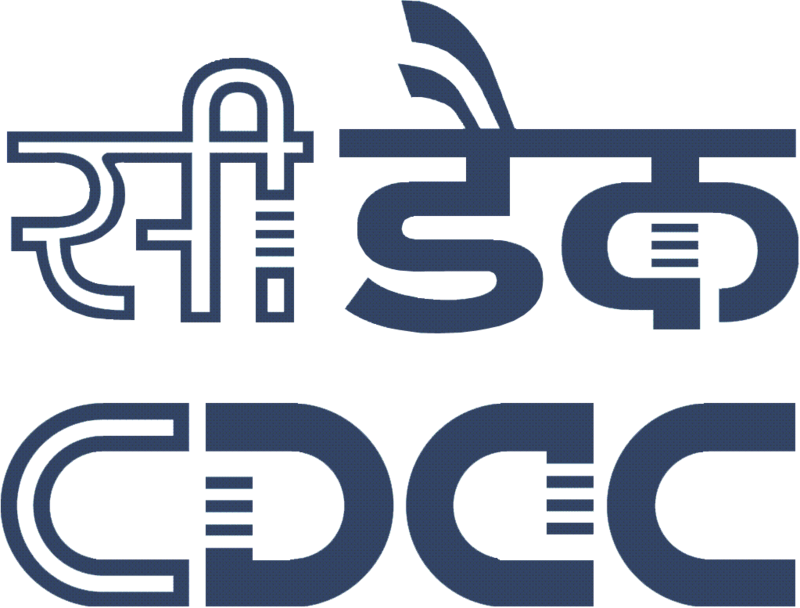 If you get a good center in counselling, then do join CDAC even if you do not fulfill 60% criteria, There will be enough opportunities provided to you for placements, and if you will perform well in CPCT Exam, Definitely you will get placed. If I wants to do PG DAC OR PG BDA OR PG DMC Then which centers are good. can I get Admission , where chance is there ?? Is there any chance for me getting a good Centre in the counselling? I am confused about filling the choices. Can you pleas help me? Hi,my rank is 1930 in a+b.I am living in Mumbai and as I wanted to do my dac course in Mumbai only so I need preference list of Mumbai centre according to my rank n whats the chance of getting vita?? which one will i get in first counselling ? My ranking for A+B is 2672 and A+B+C is 826. I would like to know, based on my rankings which centers will I be able to get irrespective of the courses? My rank is 2236 in cdac section (A+B).which one is the best course between DAC and Ditiss as I am a electronics student. Also I would like to know that what is the preference list for cdac centers. Thank you for making this informative post, its extremely kind of you. I have given the CCAT exam and got 104 rank. I have got 54.18% in B.E Can i opt for Big data course or the Internet of things course. hi sir….. my rank is for section A is 4150 and section A+B is 3157 so which centers should i prefer for good knowledge and good placement assurance according to my rank? i m from 2015 passed n i hv good academic scores in 10th 12th and B.E all above 80% throughtout.. please reply soon sir thanks in advance…. should i get cdac bangalore knowledge park in my first counselling for PG-DAC COURSE?? My rank is a+b 2472 which center I should try for DAC in Mumbai ???????????!? There are very less chances that you will get any good college with this rank, Its better that you prepare yourself for next CDAC exam. Meanwhile keep preparing for JOB interviews and attend placement drives. You might get Sunbeam pune (Gultekdi) in second counselling. You can try for mumbai VITA, It has decent placements and good faculties. What is your combined Rank of section A+B ? Put sunbeam pune at first or second place. For DESD Hyd is best, For DAC you can get IACSD with this rank. With 2200 you can get Sunbeam Karad and IACSD Pune, Dont worry about placements as its a common campus placements and each and students of every center of pune gets equal placement chances. There will be no relaxation even for .01 percent. You can go for PG DAC course and get placement. Later you can build your carrer in big data. With this rank you can go for Sunbeam pune, Mumbai Vita and Khargar. At this rank you do not have much options, My suggestion is to try for next CDAC exam, and meanwhile keep preparing for interviews and attend placement drives. You can try for IACSD pune and Sunbeam Karad, But its very unlikely that you will get these centers. Hello sir, Sir my Rank 1115 in Section A+B+C. And i am opting for PG-DAC. so please tell me, is there is any chance for sunbeam Pune Centre. And which is a better centre in pune who give ne placement assurity and good knowledge? waiting for your rply sir, please rply soon. I would suggest to go for DAC COURSE. As its having better placements. DAC course is always the best course to choose as it delivers better placements as compared any other course in CDAC, but I would suggest to go for what your interest is. For DAC you can get IACSD pune and Sunbeam karad also in pune. IACSD pune, Sunbeam karad, Mumbai vita are some good centers that you can get with this rank. If you don't get these, better try next time. Yes, IACSD is very much gettable, You can try for Mumbai vita as well, if you are going for DAC course. You can get Sunbeam in second counseling if you are lucky, Our records say that. Do post back a reply if you get that after the results are out. Yes you can get that. Keep fingers crossed. If you are only looking for placements, just go for DAC course. Hello, my ranks are 63 and 240 for sections A and A+B respectively. I live in bangalore hence i'm preferring CDAC knowledge park bangalore for DAC. I have <60 in 12th. Is it worth doing DAC course in Bangalore over CDAC pune? thank you. And If I dint get the above three can I get Vita at this rank…..
Sir my BE agg is 59.90% . Can i get placement in embedded system? . An I am confused between Embedded and VLSI course. And one of my friends told that VLSI student got placement more this year. Wheather it will repeat for next year?? I have got 104 rank in CCAT. SO how do I choose the preference order of courses according to no/relaxed criteria companies ? My sis rank is 1028 in section a+b. What should be the preference order fr her.. Shez frm ec background.. Plz suggest. Sir My rank is 1380(a+b) with this rank can I get Sunbeam,Banglore KP,Iacsd orVita . You will get IACSD and if lucky enough then snubeam also. Vita is also gettable. You can go for any of the CDAC ACTS in blore or Pune, There is not much difference, I am aware about pune ACTS, its having very good faculties arrangement and one learns a lot while studying in CDAC PUNE, Cant say much about Banglore ACTS, But since you are from banglore only then you should go for CDAC Banglore only as your extra 50000 will be saved (Rent n All). If you get IACSD, You will have opportunity to attend CCPP(Common campus placement). where students from all the centers in pune will be fighting for JOB. At that time every thing depends on you skills that you have attained during the course, Thats the time when its doesnt really matter if you are from CDAC ACTS or sunbeam or IACSD, But you will have to do some extra hard work, if you are ready for that, then, you should go for IACSD only as its having good faculties as well. Considering location is not an issue, Below should be the preference order for DAC course. She should get Sunbeam in second or first counselling. (Plz do post the results here, so that we can see if our prediction is right or not. Sir, I have got PG-DAC course at CDAC Bangalore(Knowledge Park). Shall I go for it? I am a little confused. It's not a good option in my opinion. Hi Sandeep, what's your rank? Is vita a good centre in terms of teaching and placement?? No pratima, In my opinion it would be a waste of time and money if you go for infoway. I would recommend you to better try for next batch and meanwhile keep preparing yourself for interviews and aptitude. However, If you are lucky enough, then you might get placed, but it's a 50 50 chance. But at the end, it's ur decision. Yes, vita is a good center. You can go for it. Kindly mention ur rank and name. my rank in a+b is 2203 but somehow (mistakely ), hyderabad was on my 2nd preference. should i go for hyderabad. Yes, pratima, if you wanna do cdac in this batch only, then you can go for karad, atleast it's having good quality education. At the time of placements you will be called to gultekdi. You will really have to work hard and get good marks in CPT. Then only you will get calls from companies. Cdac Hyderabad is very average center, with little placements, you can wait for second counseling. Is MET-IIT Mumbai best for DAC course? And i have alloted e-city banglore for ditiss course, after first round .Plzz suggest is it good ? Or can i get iacsd pune for dac with this rank in second round? I have been allocated PG-DAC course at CDAC Thiruvantpuram. So i am very confused for placement form there. Plese suggest me. Hi , guys I am 2016 passout be(cs), I got 724 (a+b) rank for pg DAC course I got sunbeam Pune in first round , whether it is good institute in terms of placement and teaching or should I try for acts Pune in third round ….plzz suggest me guys? Yes it is one of the finest center. Can u share ur ceter preferences list. There might be a chance of upgradation. hi, i got cdac hyderabad for pgdac. still confused should i go for it or not. i am 2016 passout .or should i try for next exam ,is it a good center to gain knowledge and placement in comparison of others?? sir, have got PG-DMC at CDAC mumbai(juhu). is got good or…? please tell me about to take admission or not….? you were guiding well to all. Will you please tell Which CDAC center is good For DITSS in Mumbai, From Faculty as well as placements point of v iew. THE RESULT FOR THE ADMISSION OF FEB18 BATCH IS YET TO COME. SO WHEN THE RANKS ARE OUT, CAN I CONSULT U PEOPLE FOR SUGGESTION ABOUT WHICH INSTITUTES SHOULD BE IN MY LIST??????? Hi sir, I got 1669 rank in section (A+B) for feb 2018 batch. Will I get Sunbeam Pune in second round or VITA mumbai in first round? my rank in a+b section is 4231… is there any chances of getting admission in mumbai region for dac course ?? I would like to know, based on my ranking which centers will I be able to get for DAC. I got 145 (Section A) and Rank 769 (section A+B). Want to Join DAC course? 2) Sunbeam Pune or CDAC- Bangalore KP? I'm bit confused in my 2nd preference order. My condition is very worst plzz suggest me something .i m 2012 passout ,due family pressure i was preparing for govt but got nothing .my rank is 3037 should i join Cdac or else leave it..plzz suggest clearly and what are my placement chances? Hello,I want to join CDAC PG-DITISS course but I am confuse which center is best cdac acts pune or cdac banglore electronic city.My CCAT rank is 1205. Sir i get 2710 rank in A+B. What will be the possibility of getting center from below in 2nd or final counseling. Hi ,my a+b rank is 499.Is it possible to get DAC course in cdac Pune?? If not then can u please suggest me the order of preferences? My A+B rank is 499.Is it possible to get DAC course in CDAC Pune?? If not plz suggest me preferences.. I got 602 rank in a+b+c category.where will I get seat for desd course. getting seat in above preferences. My CDAC Rank is 1354.. i wanted to do cdac in mumbai… can you tell me which centers are best in mumbai. Please give me the preference order in mumbai only. I got PG DMC in Sunbeam Pune. Should i join it or not? Wait for second counseling…. What are your other preferences? I got CDAC HYDERABAD FOR DSSD course. Is it worth doing this course and what are the placement scenerio of this course in Hyderabad? Sir, my CCAT Rank for Section A is 4302 and for Section B is 4621, as informed that for CDAC Pune and Sunbeam Pune I must have a good rank but I got placementat CDAC Noida which was my 9th choice. I want to know that is it a good place for study and also for placements for DAC course. Or if there is a better place than Noida as per my rank please suggest. Please reply. Parag I would suggest, dont go for NOIDA… Faculties are not good there and placement assistance is also pathetic…. Yes you can get, Keep fingers crossed.. BTW sunbeam is also very good center… just work hard now… you have already crossed first step of your success story… All the best !!! Sir ,I got ecity banglore for cdac….it's gud centre in terms of faculty and placement??? You have allocated seat for PG-DMC at CDAC Pune. I have 60+ throughout and i am 2016 computer science pass out. Should i go for it? Hi, My rank is A+B is 1812. Which centre should I choose for DBDA? Will it have good placements for a fresher? I got 600 rank in a+b in cdac exam.give me the preference of top five placememts centers with rank cutoff? I got 32 rank in a+b+c section of ccat which center should I choose for embedded systems? My A+B+C rank is 418. Which institute of CDAC will be best among pune,hyderabad in terms of placement. I have 3 days left to fill the counseling form. Hi My rank is 1108 fr A+B section. What should be my preference order for Mumbai Pune and B'lre. I am CSE graduate so which course will you suggest me. If you can go to hyderabad, then prefer that only…. I've got 10 = 87.4% , 12 = 67% , B.Tech = 88.4% , 1 year gap and B.tech Mech. Engg. but I am deeply interested in IT jobs. I want to select my center on the basis of good faculty and placements.My preferences for CDAC centers as of now is as follows. Just wanted to know if any changes required in the following choice of centers. sir my rank is 917 in A+B+C Which center better foe DSED i get ? pune act, sunbeam, kp banglor , hydrabad ? Hello sir, my rank is 1238 in A+B course in first counselling first seat allotment i got DAC course and e-city banglore. Can i get kp Banglore in second seat allotment or third seat allotment? Is CDAC NOIDA IS GOOD CENTER TO DO PGDBDA COURSE AS I'VE ALLOTTED THAT CENTER? one with a rank of about 1200 has got got DAC in first counselling first round of seat allotment. My CDAC rank in A is 1053 and in A + B = 778. I would like to study DAC. What should be my preferred centers? Are they correct..r there chances of getting Sunbeam or kp?i haven't filled the iacsd because i have listened that teacher are rude there and shout on students for work +there is more competition..